Christiana is all about providing our esteemed clients quality feedback services that exceed expectations. Building long term relationships with our esteemed customers by pursuing business through our innovative services and advanced technology in customer relationship management to achieve maximum results. She holds a B.A in linguistics and communication studies, a good food lover especially local Nigerian dishes, multi-tasks with excellent communication skills, and most importantly meets most challenges with a smile. 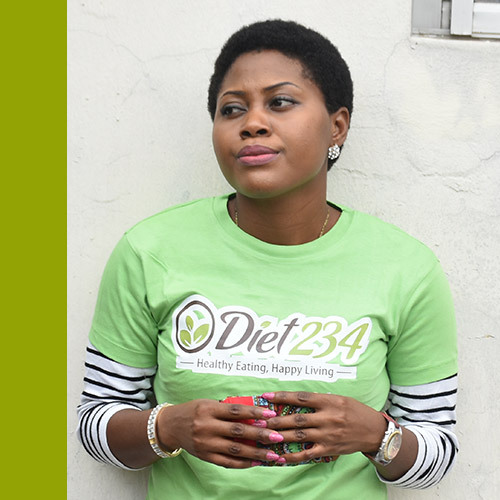 She is always glad to assist clients with queries on diet/weight management programmes.